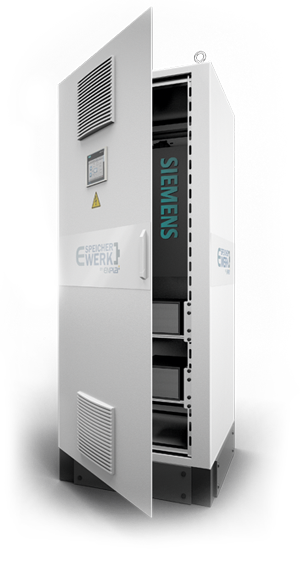 State-of-the-artpower electronics from SIEMENS in a solid, high-quality control cabinet allow you to switch toyour `independent´ power supply. The lithium-ion cells as battery are not oxygen reactive and nonhazardous. The accompanying battery management optimizes the charge status of the battery and thus extends the lifespan of a cell. The technology is designed with 7,000 full load cycles for an application of 20 years. 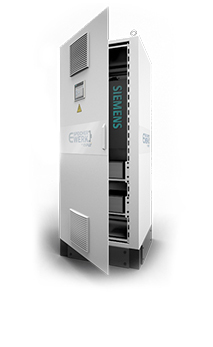 The performance parameters in the residential property sectorwith 17 and 36 kW respectively, are sufficient for nearly all requirements. 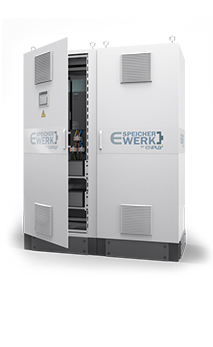 The storage capacity in kWh is scaled and configured to individual needs. Other features are included and will be offered by request.